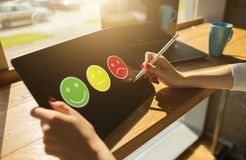 A set of smiles satisfaction rating vector. Feedback or rating satisfaction, appraisal, with smiles in form of various emotions. Customer service quality review by rate level Emotions with smiles. 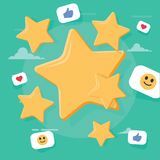 Reaction buttons Pressure smile icon vector sign and symbol isolated on white background, Pressure smile logo concept Smiles icon vector sign and symbol isolated on white background, Smiles logo concept Vector illustration on white background. creative flat composition. the best work, high price 5 stars. 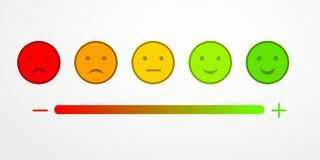 Feedback or rating scale with smiles representing various emotions arranged into horizontal row. Customer`s review and Colored smiles. Customer satisfaction control on device screen. Service and quality improvement concept. Smiley winks and smiles.